A Message from Mr. Green: Thank You for a Great 1st Quarter! On behalf of the faculty and staff, I thank you for a wonderful 1st quarter. I thank the teachers and staff for working so hard to implement the HEART Program and for creating a positive, loving environment. Please let us know if you have any questions or concerns, and we will do our best to address them. Please note that only grades 4-8 will receive report cards today. (These will be sent via email.) As we were preparing to send the kindergarten-3rd grade report cards yesterday, we discovered that RenWeb has not yet updated our standards based report cards. RenWeb is working on fixing this problem. 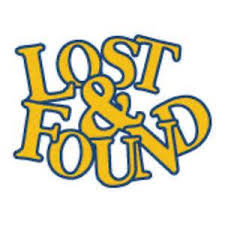 Once complete, we will email the report cards for grades K-3. Parent Teacher Conferences will be this Thursday, October 25th and Friday, October 26th. Please make sure you arrive at least five minutes prior to your conference. If you would like to meet with any of the specialized teachers (Spanish, music, advanced math, computer, P.E., art, library), please let the office know no later than Wednesday, October 24th. Please note: Students will be dismissed at 12:30 p.m. this Thursday and Friday for conferences. If your child will be attending Extended Day, please make sure you order them hot lunch or send them with a cold lunch. Only students that attend Extended Day will eat lunch. 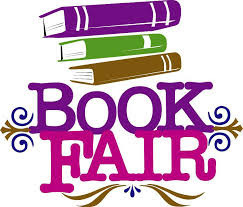 The Book Fair will be in the school library on Wednesday, October 24th from 3:30 to 4:30 p.m., on Thursday, October 25th from 8:30 a.m. to 8:30 p.m., & on Friday, October 26th from 8:30 a.m. to 5:00 p.m. Questions? Contact Anna Zanarini at azanarini@stvincents-school.org or 801-527-2070. Student Support has moved into the Hands-On Science Room. During parent-teacher conferences, stop by for a treat and check out how Student Support is expanding. Book sets and singles are being added to the Saint Vincent leveled library, we’ve doubled our Lit (literacy) Team Time in kindergarten, first and second grade and our new room allows for multiple groups to be working at the same time. We are grateful and energized to be working on behalf of all students and faculty at Saint Vincent. Basketball fees are due by Wednesday, October 31st. Please bring the fees to the school office. Make checks payable to St. Vincent. Fees for grades 3rd – 8th are $100.00; Fees for 2nd grade and High School are $75.00. Below is an announcement for a youth speak on dating, relationships, and chastity that is happening at Blessed Sacrament Church on Wednesday, October 24. The Student Council would like to thank everyone who donated at Mass last week. We collected a total of $433.54. This money will go to Art with Heart, a benefit for Shriners Hospital. The 7th Annual Trivia Night will be held in the Benvegnu Center on Friday, November 16th from 6:30 to 9:30 p.m. Get your table together and test your trivia knowledge. Tickets are $15 per person (Adults Only). You and your group bring appetizers and drinks to share and socialize at your table. As trivia questions are read, you discuss among your table and jot down your team’s answer. Doors open at 6:30 pm. and question rounds begin at 7:00 p.m., so don’t be late! There will be seven rounds, and prizes will be awarded to top teams. They are also available in the school office.